To enter the competition, start a thread titled "[Comp J] NameOfYourGame" in the “Online Competitions and Jams” forum category, and post your design ideas and game releases there. As you release, edit your first post to point to the most recent version available. The best designed game can choose which they would prefer and the other prize will go to the second best game. - I'll contribute R1500 to have the game tested by Coalition Games Studios http://coalitiongames.com/ or another similar service. Basically, they hold play sessions with different groups of people and write up a report. They are not affiliated in any way. When I last quoted them, it was enough to get a decent report. Should this not work out, I offer a board game of your choice for similar value. Prizes are sponsored by Volthawk Software. Courier costs will be on them as well, as long as you reside in SA. All rights/copyright of the games developed for this contest are retained by you, the designers. This is the first time I am running a contest, so please bear with me. I don't want to mess anyone around, but I may get things wrong. Board game adaptations of movies and console/pc games are pretty much always terrible. I usually stay away from them because I know that the distributor is just squeezing the name for extra cash. However, every now and again, there are decent adaptations. Spartacus, although it has problems, is actually a very good one. I, personally, also like Battlestar Galactica's adaption. But that's basically where it ends. This opens the door for other companies to make a game that captures what we like about the movie/series, but is different enough to not cause copyright issues. Dead of Winter is probably the best example of this. All of the Walking Dead games are terrible, but Dead of Winter gets all of the "feels" of the series and is still a very intense board game This is what I have in mind. Create the adaptation a movie/series/console/pc game deserves. If this aspect of the theme isn't to your liking, no problem. Just use the word Adaption in any way you like. Post your progress throughout the contest so that others can provide feedback. When the contest closes your game must be a finished game. The graphics do not need to be final or even good, but the game should be playable. 1. When playing a game, I include the amount I paid for it in my evaluation of it. e.g. Not the best game, but it only cost R200. Or "Great game, but it just doesn't seem worth it to buy any more expansions"
2. The production of a game does influence its design sometimes. E.g. Cards get printed in sets of 18. Do I really need 30 dice per player? Your rules do not need to be included in the cost as you can provide a download to a PDF. You also don't need to actually set it up on Game Crafter, I just need the list of components you would need if you were to distribute it. This cost will only be necessary at the end of the contest, so you can leave it right 'til the end if it'll cramp your mojo. Digital submissions of your game are also allowed, so long as they could be distributed in real life via a service like Game Crafter. I am not keen on 1 player games since they are difficult to compare to 2+ player games, but let's see how it goes. - A cost of producing the game on Game Crafter with a list of the components needed. I'm just going to say again that the rights to any games developed belong entirely to you. Do not use content that you do not have permission to use. 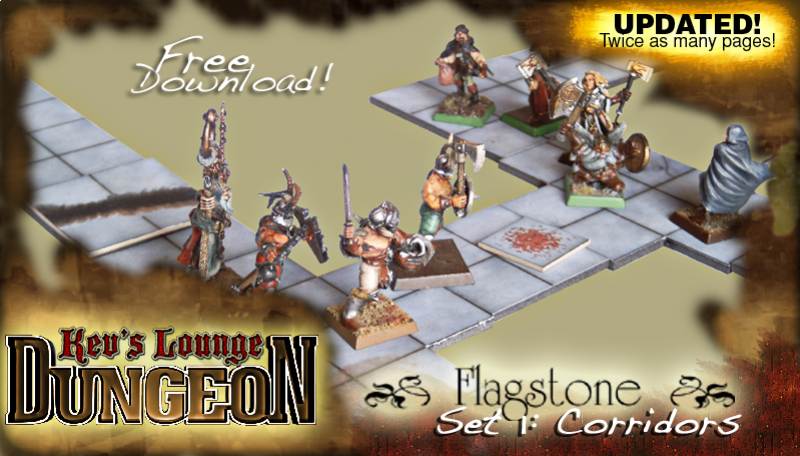 On that, to help you along, my brother at Papercraft Dungeon has allowed any games developed for this contest to use any of the FREE artwork, tokens, dungeon tiles and miniatures available on http://www.papercraftdungeon.com/ or his facebook page, in your game. The content is only allowed for the purposes of the contest and for the duration of the contest. You are free to use them in different ways, for example, the miniatures as portraits on cards. You do not have to use them in your game. Let me know if you have any suggestions or if something is not to your liking. Hopefully, I can work out the kinks early. Please can this competition be updated to Competition J and the following added to the rules? 1. The content is free to use in a personal capacity. If at a later stage, you want to distribute your game with the content you would need his permission. There are also copies of the artwork in larger sizes and in higher resolution if you want to use them in a different format. If there is a particular paid product that you would like to use, speak to me directly and I will see if I can organize it. 2. I would like to organize a playtest session in JHB about halfway through the contest. For judging, you'll need to let me know your schedule. BTW. 3. I can't really help there, but the timelines aren't set in stone. If you have suggestions, let me know. If you are struggling to get started, start small and then expand on it. 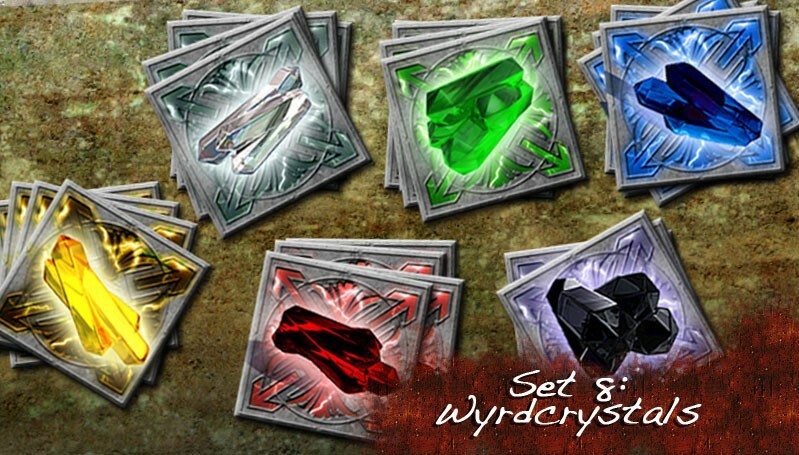 Have a look at the boxes on Game Crafter. You can create an entire game using the Poker Card (MTG size) 18 Card Wrap. Or you could go the CCG angle. I liked the idea of the booster-sized game because you could have it displayed on shop counters, or included in one of those Loot Crate boxes. As you need more cards, look at the next size up, which is 36. As you need a board, start looking what box you would need to store the board in. Having a limit on the size of the game can give you some inspiration. The most expensive parts on the Game Crafter are the individual meeples and similar components. It may be an idea to make cardboard substitutes in the beginning and then upgrade them later. A lot of the Kickstarter games do this and only upgrade to 3D mini's using stretch goals. If you want to use your own 3D prints, that is ok, as long as you specify it. Please provide a cost and time to print them so that we can compare them to the other submitted game. Could you please include categories. For example some of us are new to game development and some are veterans. The vets will always conquer a newbie. I work in the game development industry and I have alot of coding experience but my game development experience is still fairly new. If there was a category with a smaller prise for contestants entering as junior contestants then we won't feel intimidated going up against the best game developers in the country. I'm not sure if my previous comments point was dumb or not. But I just felt it was abit unfair for a junior to be judged at the same level as a senior developer. No, it makes sense. I don't think there are many pro board game developers in South Africa. I also don't have a sense of how many entries there will be. Maybe what will be best is if anyone who is interested in the contest can post a message in this thread saying "I'm in" and what their experience is, then I can determine if there needs to be a category. I am not against having prizes for different categories, but I would like to have this finalized as soon as possible because people will design with a prize in mind. If there are less than 10 entrants, then it doesn't make sense. I think calling these things "comps" is a misnomer that we've carried around in our history for a bit longer than necessary. This comp, and all the other comps, are not competitions with winners. There'll be no winner. 2. Having a bunch of people working together on a similar topic so that discussion can very naturally and easily arise from sharing stuff with other people while you're making that thing. 4. Learning from each other and the experience of having made a thing. Off-topic from this actual comp, but we should maybe call these things not comps but JAMS or something. If we actually want prizes then I suggest we define the "comp" a lot more clearer than it has been defined now, because yes, people need rules when things are at stake. - Attempting these "competitions" is important in one regard: make what you are suggested to attempt (here attempt to make a boardgame). You can always learn, ask questions and become a better game developer by making attempts in these "comps" and we participate since we are attempting to change our thoughts and predictions: make a completely different game. Quick question: can we take series of movies/series and add a "newcomer"? eg. Harry potter 7 films, they added a new one, dont copy the new one but make the same world and happenings in a different time zone. The same but not a copy of a movie story. (like a different evil group is trying to take over eifel tower since its actually magical. e.g. Myth Busters, they do lots of different things. Play to try solve learning what is and isnt possible. Themes are there to inspire you, to spark ideas. You can be as liberal with it as you want. If there is already a board game adaption of the franchise you are thinking of, that doesn't matter. As long as yours is not a direct copy of it. The most important thing is to not make the game boring. Most big title adaptations are REALLY boring. 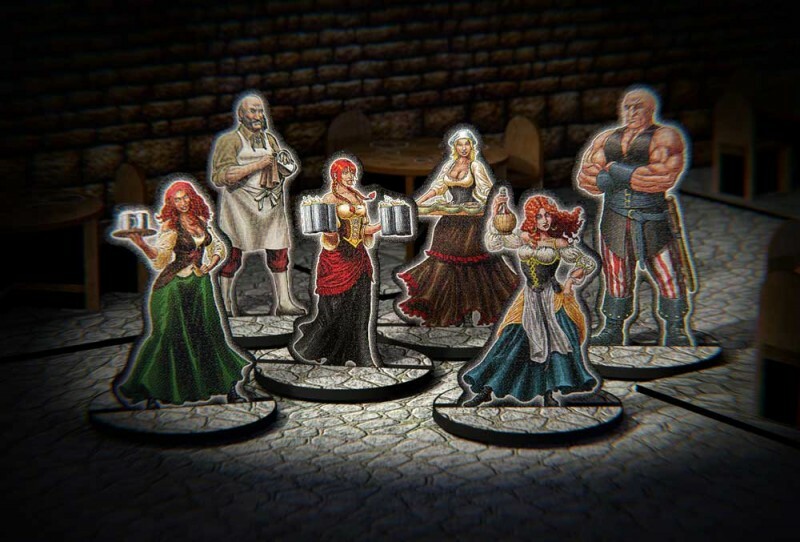 Ideally, your board game should be just as fun if the players have never seen the franchise. If the players do know the franchise, a good adaption will give them the feeling of being in that world. Your HP7 idea in a different part of the world is a great example. Those are some of the things I'll have in mind when I'm playtesting the games. As a general note - Something to think about with PC game adaptions. When you are playing a PC game, you repeat whatever you enjoy about the game by going up in levels and difficulty. In board games you repeat whatever you enjoy about the game by playing it again - starting over each time. As an example, in the World of Warcraft board game, you basically move your characters around and level your characters up for 3 hours. While that might be exactly what you did in the PC version, it really does not translate well. There should be a tension that builds up every turn that goes by. The last turn of the game should be exponentially more exciting than the first turn. Sometimes focusing on a single aspect or level of a PC game will work better than trying to capture the entire game as a board game. So there wasn't a big response to this, and I'm not really sure what to do now. Is it worth extending the competition for a month? Otherwise, I can review any projects that are still in progress and give some feedback. We started pretty late, so if you extend it for a month that would be rad for us, but I think the participants who started (and finished) much longer ago should get preference to veto an extension. Could we maybe advertise it a bit more? was it advertised on the makegamessa facebook page? I can say (from speaking with some friends they feel the same) I have had about 4 game ideas and haven't yet settled on a good boardgame... So people are trying, but the delay is we are usually learning how to make boardgames (PC/Console/Phone development was what we had experience with, we just need to work on this "new" way to make games. Not "new", just different from how we made games in the past). I personally hope I can have it this Thursday but it is strange and long (hopefully in a good way and need to find the movie/TV series to fit it with - remember some that work but not their names). Ok, so I'm going to call this comp over. If you have got anything to submit, you can send it to me directly if it's not ready to be put on the forum. Unfortunately, there were no completed entries (or if you have, you can send them to me now) so I won't be handing out the top prize. I do however want to reward the guys who put in so much effort, so send me what you have so I can review it and give feedback. As a post-mortem, I realize that developing a board in even 2 months is difficult. Next time I will use a smaller format, like 18 cards etc. This time of year has been super busy for me and I'm sure it has been for everyone else, so a longer time will be better. If there are other suggestions, please go ahead.